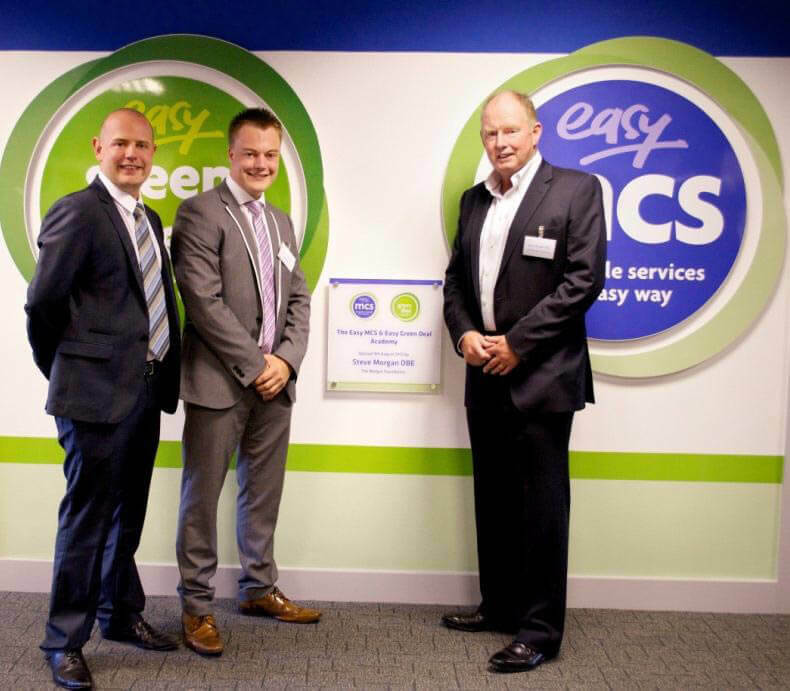 The Easy MCS & Easy Green Deal training academy was officially opened earlier this month to an invited audience of industry leaders. Easy MCS Ltd supports installers in entering the renewables sector and achieving MCS Accreditation, offering hands-on product training across a range of technologies using high quality equipment including an air source heat pump and solar thermal panel supplied by Nu-Heat. Easy MCS has won a number of awards, including the Morgan Foundation Award for Best New Business in 2011. Steve Morgan OBE, founder of the Morgan Foundation, CEO of Redrow Homes and owner of Wolverhampton Wanderers F.C. officially opened the academy with Easy MCS company directors Simon Roberts and Thomas Farquhar.